I've got a pebble in my shoe. I'd take it out but it reminds me of you: small and kinda perfect and digging in with every step. And you're a tattoo on my arm. Oh, at the start I didn't mean any harm, but now you're kind of permanent and in a way you're heaven sent. SOMETIMES... finding out is all about SOMETIMES... finding out is all about you make me feel all that way. You're like a thistle in my side. It's like a whistle at the top of a ride when every fall is yet to come, and fear and fate resolve as one. the candyfloss and ruins in your wake. that you jettisoned on takeoff. And now youre leaving to pursue a solo career. but thats just how you feel... real. the bridges burned and visions youve denied. know exactly where your lies end. You and I'll drink up this town. She's got the clothes, she looks tight. A handful of leapers, all right. cause she got her mojo with her. I'll take you there, you'll blow your mind. a hundred thousand watts of pop! the raging moon is fading out. And they used to be yours. Ive been trying to lay down and bleed to please you. Cause Im dying to show you just how much I need you. and youve made that clear. CALL ME IF THERES ANY CHANGE. I would hammer out our future but you fear breaking a nail. on a four leaf bale. And now the only notice that I get from you is sympathy. And now I know youll never value anything you get from me. CALL ME IF THERE S ANY CHANGE. and thats just how youll get it now. you learned to move your knees around. but what if you are just another new sensation? THERES SOMETHING ABOUT NICOLA, yeah. to wake your parents up. THATS ONE THING ABOUT NICOLA, yeah. After all, whats in a name? stir some coffee and don my favorite turtleneck, soft and brown. downtown where all my groovy friends hang out, soft and brown. This is my ideal day, all Id really want is you. and fill our bags with old small faces forty fives, warm and round. that makes our heads soft and brown. the kind devoted to the ready, steady, go scene. and was loaded with chrome and the like. man you shouldve seen her bike. Shes so faithful, shes so faithful. so we went out and around. 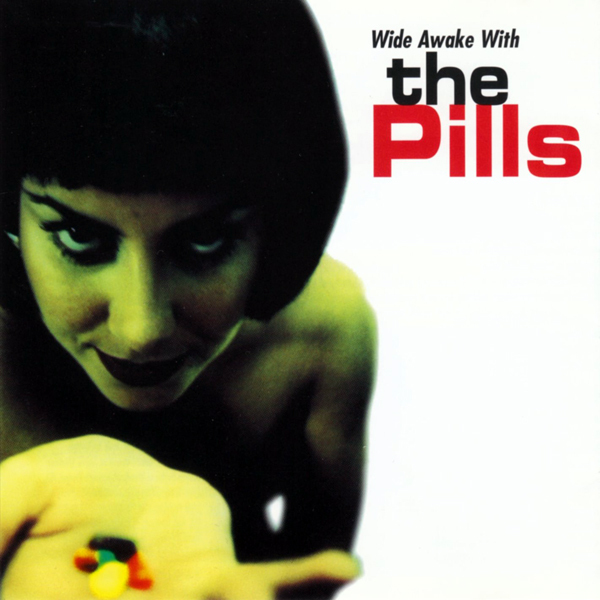 All songs performed and produced by The Pills except 'The Devil's Song" produced by Scott Riebling. CD cover design and layout by PYFITE.